Does anyone know how I could use this as a "keyboard" and how I could program that in the patcher? I am a total newbie, so excuse me if it is a dumb question, but I would love some help. The axoloti firmware doesn't have an i2c driver for this device, so you'd have to write one. Or - alternately use a separate mcu to make a midi controller out of it. I'm pretty sure there would be arduino/avr code for this device somewhere. I would not have the faintest idea of how to write something like that. So that's out of the picture. What is a MCU and what is AVR? Haha, that's the level I'm at. From the hardware standpoint it'd be simpler to write an i2c driver directly in the axoloti firmware, but that's not a best first project. I have no coding skills, but I want it to work with the Axoloti, so any pointers would be great. It will take the time it takes. I have a project, where it is essential. Might I propose a trade in skills, if anyone would be interested. 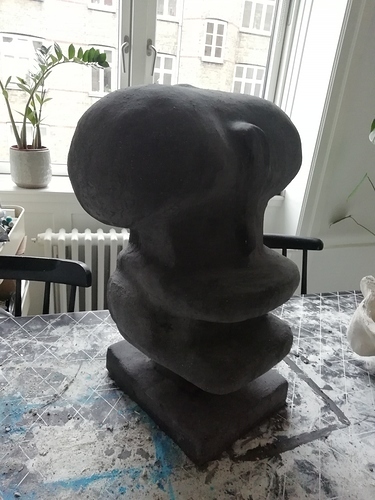 I am a visual artist, and I am building a sculpture that is a synth, but where you can't see any electronics. If anyone are in need of some graphic design/art direction help, and would be up for coding for the module, it could be a win/win. Would writing a i2c driver be a bigger task, or a small one for an experienced coder? I need a driver, but have no coding knowledge whatsoever. I would have to learn coding for this one-off thing, and I would do it, if that is what it takes. But if one of you guys would help me, I would be interested in making it worth your while. As said, I am a visual artist, I have made several record covers, and have a broad range of skills in that department. I would also be willing to pay for the job, but I fear that sends bad vibes, since I believe this is a community for people that share ideas freely. Any ideas or direct feedback would be great. I think a lot of you would be enthusiastic about my project. I'll share some info and pictures of where I am in the project later. I am making a sculpture that is a synth, but you won't see the electronic components. It's sort of a ritual mask on a stander. Heavy, stonework feel. 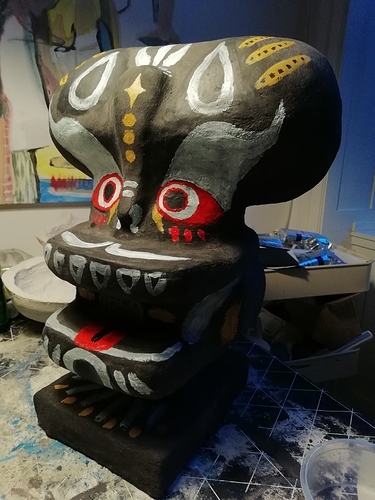 Inspired by Indian paper meche masks, and old African ritual masks. Basically I need the driver to make the copper teeth into a keyboard. Still in an early prototyping face, but here is a photo of where I am with the mask. I have this minor obsession with omnichord strum plates, so I'm interested in touch sensors. 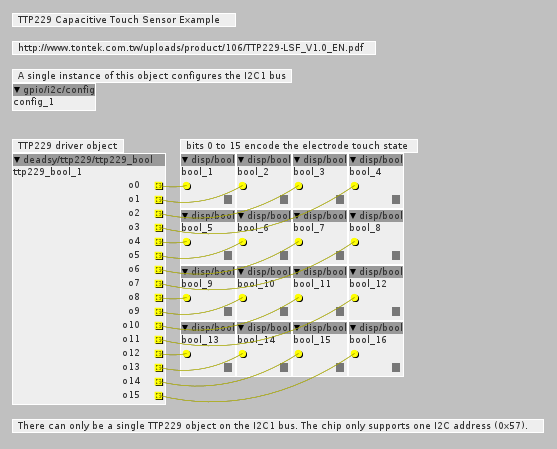 Looking at the tp229 datasheet it appears to be a read-only i2c device. ie- read it periodically and get 16 bits representing the touch plate states. I think it should be possible to do the i2c access entirely within the patch object (ie- no drivers added to the main firmware)- that would be convenient. 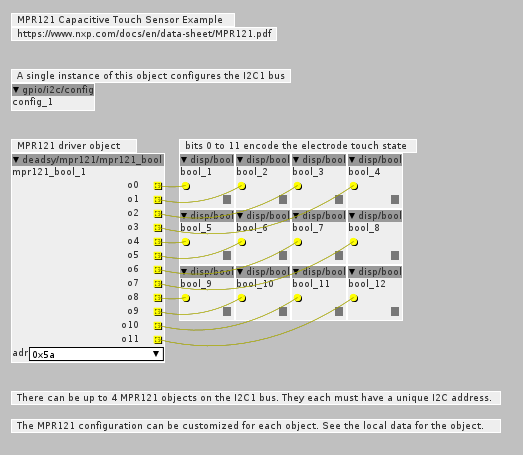 The tricky thing is that you don't want to wait in the object for the device access to complete because i2c is slow. I have an mpr121 device at the moment. One of these. I'll probably just make that work first. The tp229 object would be very similar. Oh wow. That sounds promising, and gives my scruffy nerves some rest Thanks a lot for your feedback. It is so helpful. Okay - I have a working mpr121 object. If someone gives me access to the contrib library I'll push it. I have a tp229 on order, and I think that's a simpler device. You may want to consider the mpr121. It is very configurable and can apparently be tuned for all sorts of electrode geometries. Here another topic about MP121. Yes - I saw the other forum posts, but I didn't see any objects in the contributor repo. Both of them work ok. The objects are checked into the axoloti-contrib library. I ordered a bunch of mpr121 breakouts, I look forward to play with these. Did you already tried to use them along with an OLED to test the OLED128x64nice objects ? Good choice on the mpr121. The ttp229 is non-configurable, while the mpr121 has all sorts of registers you can tweak to alter it's performance, which is probably useful if you want to mess about with different sensitivities and electrode geometries. There's also an intriguing "proximity sensor mode" using a combination of all the sensors, maybe it can go Theremin. That's proximity proximity ... thus, no theremin effect. I see that in LED mode, it is PWM on 15 levels, that's quite nice: AN3894. Here is a video from NXP (that introduced the mpr121, now produced by Resurgent semiconductors). Even if it focuses on their new products, i think that most of the principles apply to the mpr121. This other one is interesting too. what? 5 cm of proximity detection, nice!